Fresh oysters are one of Harbor Fish Market’s specialties. 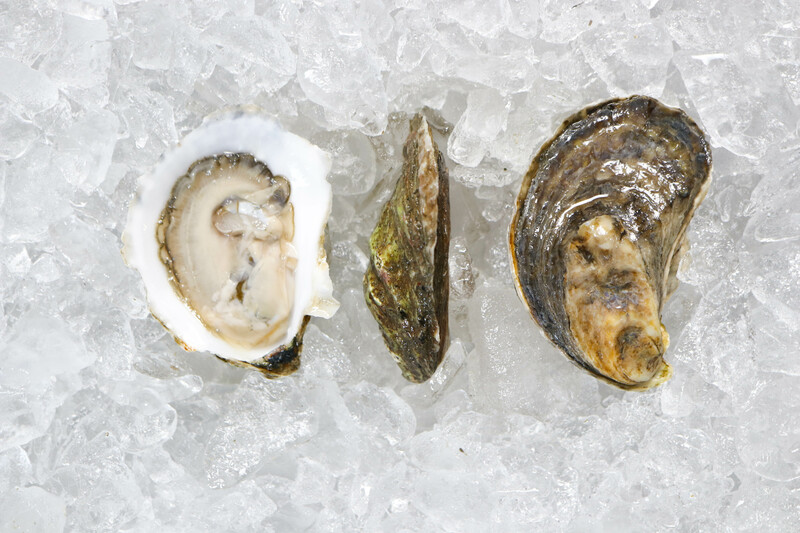 We carry a wide variety of oysters from different parts of Maine, Massachusetts, NH, Rhode Island, and even the west coast! Our selection is displayed in a unique fashion, with a select-your-own oyster bar! This gives customers the freedom to choose from a wide variety of oysters, pick out their selection with their own hands, have them weighed, and enjoyed in a matter of minutes! 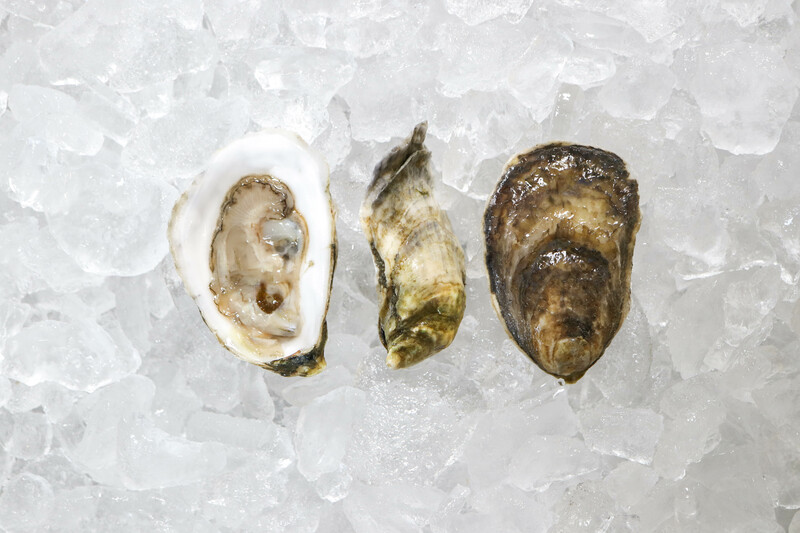 A favorite variety that we carry is John’s River Oysters. These Oysters are grown by Dave Cheney in South Bristol, ME; specifically, the upper Northern branch of John’s River Estuary at the mouth of the Damariscotta River. Dave grows two different types of oysters, Colonial Selects and Whaleback Cocktails. Colonial Selects are primarily bottom-grown (though at certain times cultivated in floating cages closer to the surface). They are deep brown in color with a hint of green from their environment. The hard gravel bottom creates the strong shells for easy shucking. They are typically between 3 and 4 inches in length. Whaleback Cocktails are also bottom grown and floated in cages near the surface.They are white and brown in color with a hint of green. These oysters are smaller than the Colonial Selects, with a size of less than 3 inches in length. The tastes of both John’s River oysters are a must-try on your next visit (or have us ship them to you overnight)! They are slow-grown, which gives these bi-valves a strong shell and velvety firm, plump meats. They have a kiss of brine at the start, followed by a creamy middle and a clean ocean finish, without any after-taste. There is a distinct sweetness to them. Now if that doesn’t entice you to try them, we don’t know what will! Stay tuned for our recipe using John’s River Oysters this week! Enjoy! 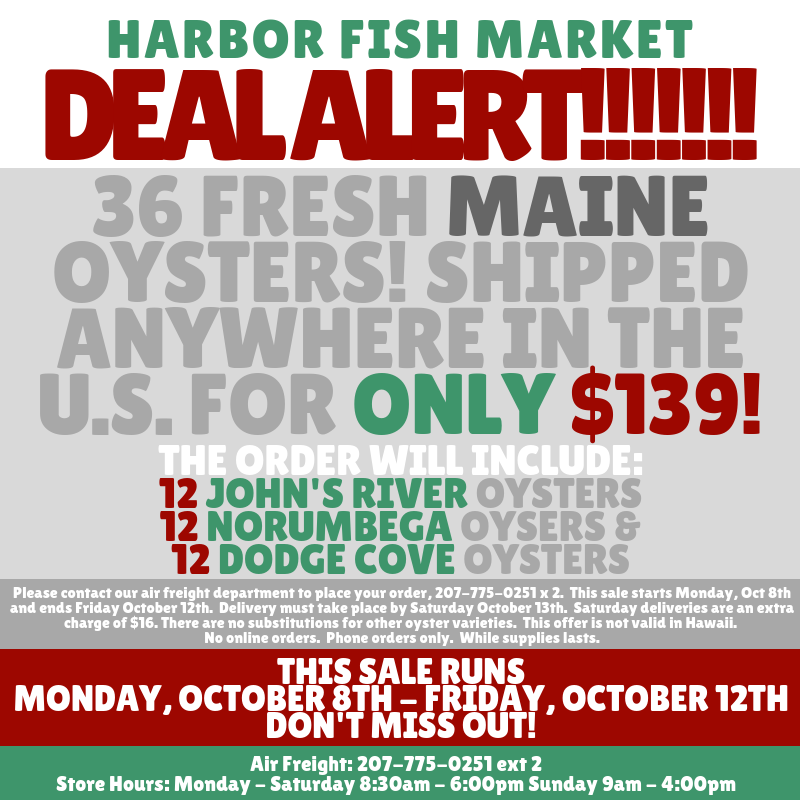 Phone Order Oyster Special – THIS WEEK ONLY!!! Sounds great! You cannot put a buy button here?? ?